Kerala is indeed God's Own Country when it comes to the auspicious and ancient temples. Most of these temples are at least 1000 years old and have colorful legends attached to them. Kerala temples are quite traditional and strictly follows the rituals that was in practice for hundreds of years. Here are the list of 41 most auspicious temples of Kerala and the legend behind them. 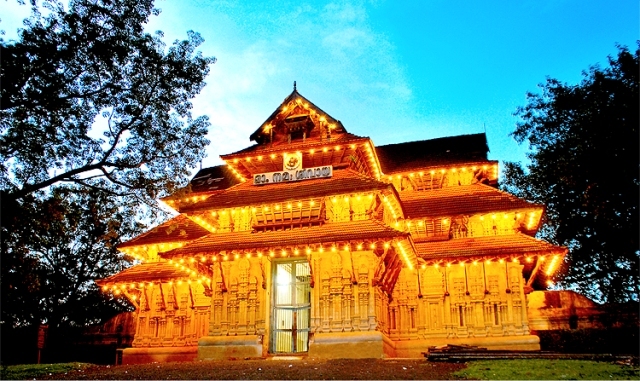 One of the most famous temples in Kerala is the Guruvayoor temple. It belongs to the Thrissur district of Kerala and located at 28km from the city. As it is a major pilgrimage center of the district there usually a huge queue of devotees waiting for their turn to get a Darshan. The deity of the Guruvayoor temple is Sri Krishna. One of the interesting things about Guruvayoor temple is the elephants. The temple owns a lot of elephants and it is believed that "Guruvayoorappan" - the deity is lovingly called - loves elephants. There is a special place for these elephants. 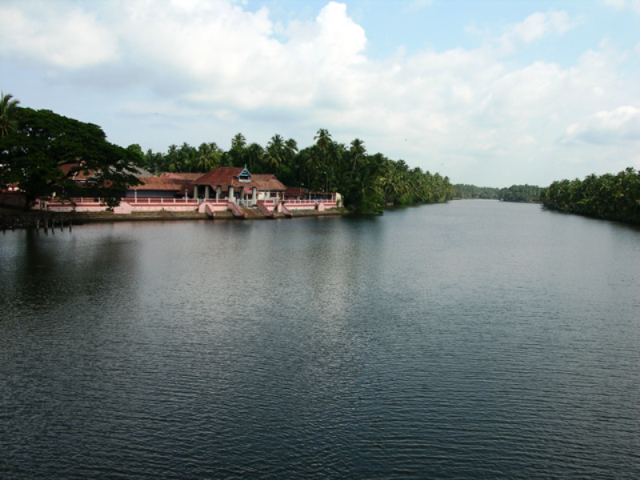 Located at 3km from the Guruvayoor temple, this place is called Punnayoor Kotta. 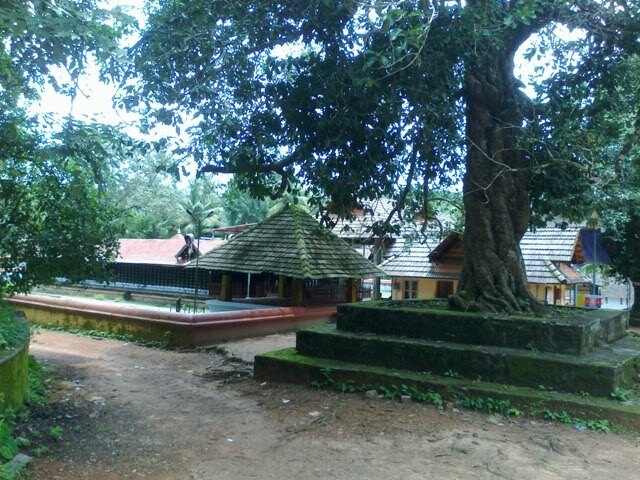 Ochira Parabrahma Temple is one of the rare temples in Kerala. It does not have a proper temple building or a sanctum. The main deity of the temple, "Para Brahma Murty" is believed to be present under the big banyan tree in the temple. The temple is located in the Kollam district, 32 km from the head quarters of the district at a place close to Kayamkulam. This temple is located around 13km from the Ambalappuzha city of Alappey district. This is one of the most famous Krishna temples in Kerala. The main deity of the temple is as the name suggests, Sri Krishna in his "Parthsarathy/ Gopala Krishna" form. Thirunelli temple is located in the Wayanad district, 32 km from the Mananthavady town. The temple is situated on the valley of the Brahmagiri hills and situated close the Koorg mountain ranges. It is a very rare temple, where the main deity is Maha Vishnu. It is believed that "Brahma"the creator God of the Hindu Holy trinity. 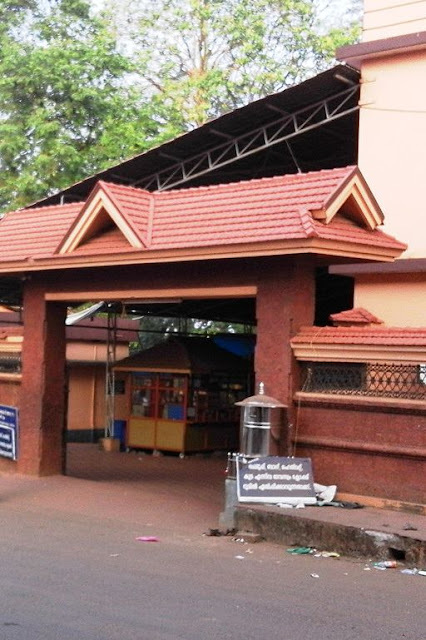 Vadakkum Natha Temple is located at the heart of the Thrissur city. The main deity of this temple is Lord Shiva. The legend says that the temple was built by "Parasurama" the sixth incarnation of Vishnu. The temple is an ancient one and an architecture marvel in itself. The murals of Vadakkunnathan temple is a treat for eyes and holds a lot of archaeological value. Archaeological Survey of India (ASI) had nominated the Vadakkunnathan temple to be in the list of world heritage sites by unesco. The construction of Vadakkunnathan during the time of the legendary designer named "Perumthachan". The temple is around 1300 years old. The main idol of Vadakkunnathan is always covered in clarified butter(ghee) there is an interesting epic related to this tradition. The story is related to Arjuna.. Read More..
Lokanarkavu is a legendary temple which was much celebrated in northern Kerala folklore music known as "Vadakkan Pattu" (Means the song of the North). It is located around 5km from Vadakara a town in Calicut . The Lokanarkavu was under the patronage of the King of Kadathanadu. The chief deity of Lokanarkavu is a form of Kali, popularly known as "Lokanarkavil Amma". This temple is also related to the famous martial art form Kalarippayattu, as this was the family temple of many famous Kalarippayattu warriors. One of the famous Kalarippayattu warriors was "Thacholi Othenan" who lived during the 16th century. It is said that Thacholi Othenan had offered a huge statue of an elephant, which can still be found in this temple. The temple premises are calm and quite. The main festival of Lokanarkavu is in the month of April-May. 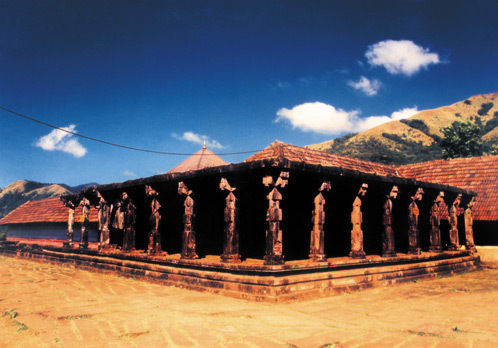 There is also an old temple near the Lokanarkavu, which is believed to belong to the Kadathanadu royal family. 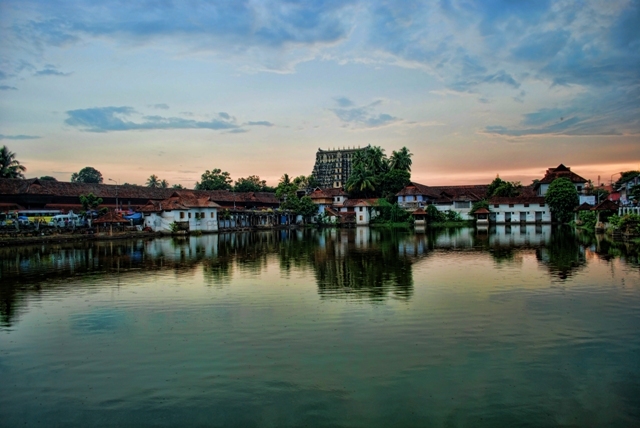 Kadampuzha Bhagavati Temple is located in the Malappuram district in a place named Vettichira. The main deity here is the Goddess Parvathy in form of Durga. This is a very powerful temple and attracts a huge number of pilgrims from all around Kerala. The temple is believed to be in existence for more than thousand years. Legends says that this temple was consecrated by Adi Shankara in the 8th century AD. The Goddess Parvathy has the nature of a tribal lady and it is believed to be related to a legend in the epic Mahabharata. One of the most important offering at the temple is called "Poo Moodal" this is a ritual by which the idol is covered in heap of flowers. There are no regular poojas or festival for this temple. 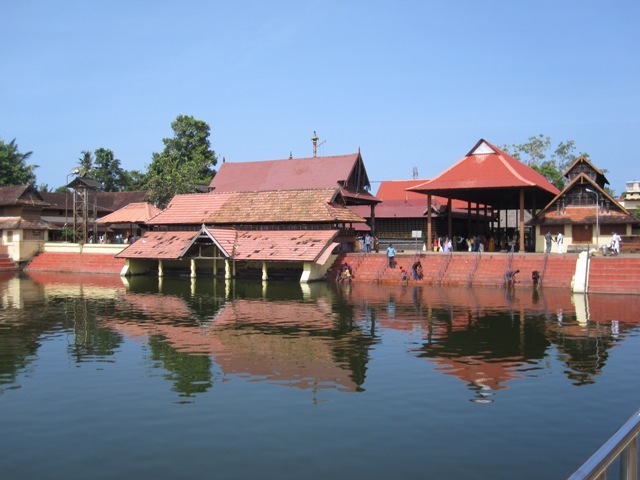 However due to ancient grace the temple stands as one of the most prominent pilgirm centers in Kerala. There is an interesting legend behind how the temple came into existence. Read More.. Very useful information. Kerala is a land of unique traditions and culture. There are lots of Pilgrim Kerala Tour Packages are available.